September 17, 2015 | Meagan Miller & filed under News. Exciting new shows coming to the CJSR news schedule! Canadaland is what they really should have really named this great country of ours. Luckily the name didn’t go to waste, Canadaland is a weekly media criticism podcast hosted by Jesse Brown. Jesse is no amateur journalist – he’s been a freelance journalist who worked for The National Post, CBC, and Macleans just to name a few. Oh yeah… did we mention that he was guy who broke the Jian Ghomeshi scandal? 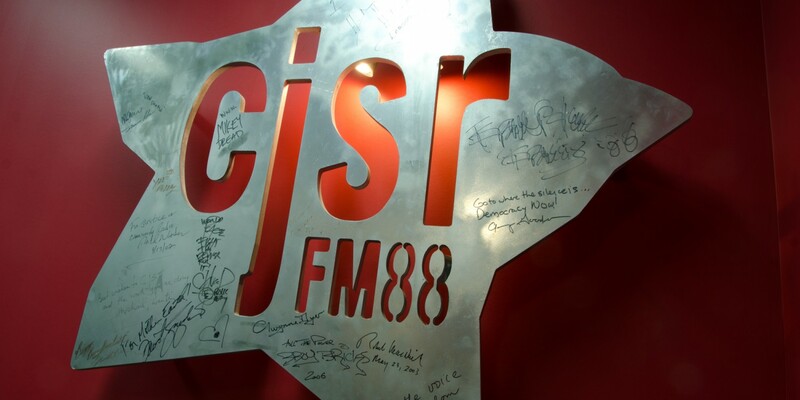 As of September 17th, Canadaland will air every Thursday at 11 AM on CJSR. Democracy Now! will continue to air Mondays at 5 PM and now also on Fridays at 11 AM. Listen every week for a critical scrutiny of Canada’s media. Then on Tuesdays at 5:30 PM, we’re welcoming a new spoken word show called Gate 23 to the airwaves. Hosted by Felipe Civita Ferreira, Gate 23 is an audio trip around the world. Every week, he’ll take you to a different destination with stories and voices that make it come alive. We’re proud to be co-producing this show with CJSW in Calgary.